Walking Fort Bragg: Can you believe it!! Finally, a port-a-pot at the Pudding Creek Beach. For years folks thought the building to the left was a facility. NOT. It is a pumping station for sewage. 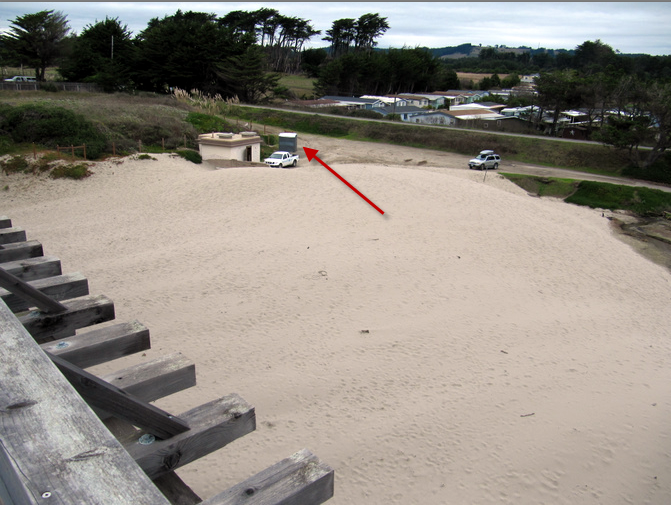 For several years I have been asking why there isn't a toilet and a garbage can at this popular beach and was told; the beach belongs to State Parks and other folks said it belonged to the city of Fort Bragg but mainly, the problem seemed to be, if those items were installed, someone will have to maintain them. I don't know who stepped up, parks or city but it is about time. Good Job!